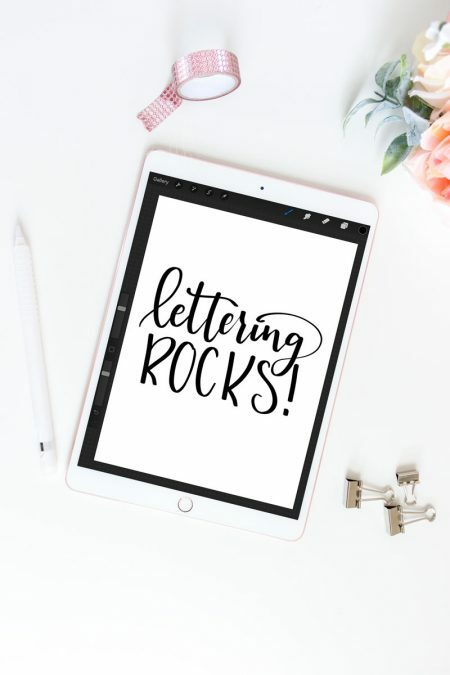 Brush up on your hand lettering skills and download your FREE months of the year brush lettering practice sheets. I’ve been a little bit MIA over the past two months! I’d like to say I was busy spending that time doing something really awesome, but I wasn’t. 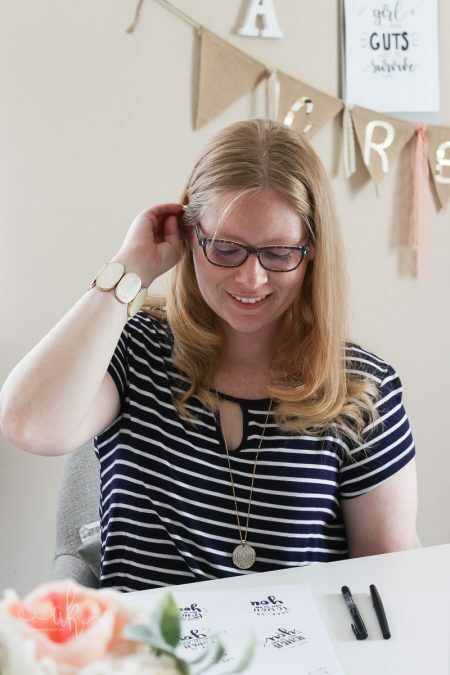 Instead I was busy with normal Christmas season craft show stuff, and doing a ton of behind the scenes things for this site and it’s sister site Domestically Creative. You may have noticed a whole new layout to the site as well! I’m still working out the kinks though. But you aren’t here for the details of my absence. 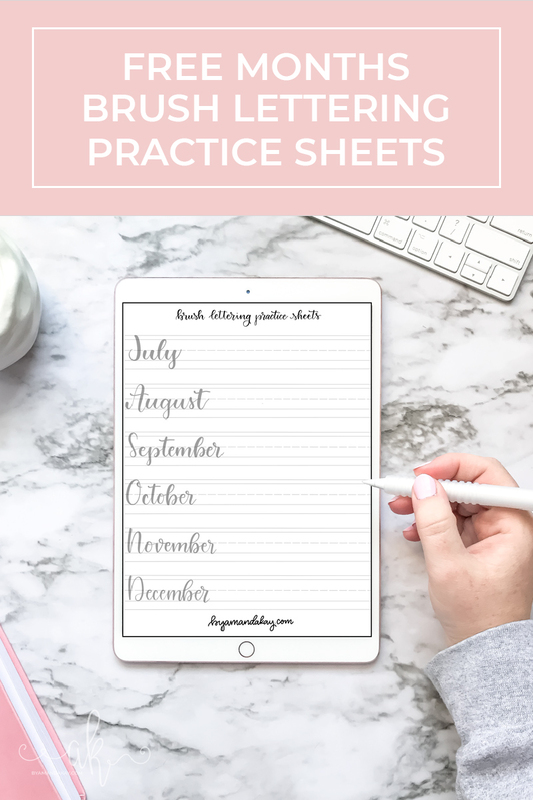 You’re here to learn more about these free months of the year brush lettering practice sheets. 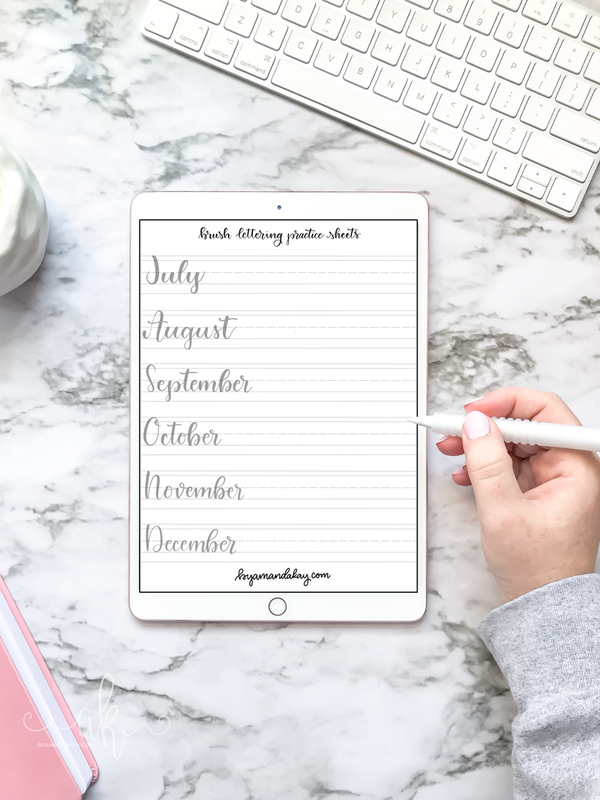 My plan was to release these at the end of 2018, to give everyone a bit of a head start on learning how to letter each month. 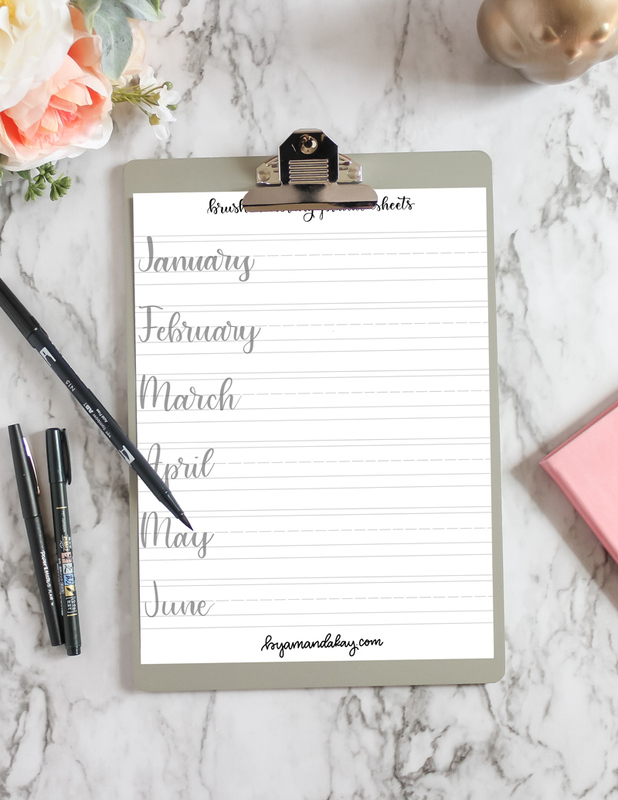 That way you could use your own lettering to create pretty calendars, or just to use in your bullet journal or planner. Instead, it’s the beginning of February and I’m just now releasing them. It’s OK though, there’s never a time frame on practicing your brush lettering skills! I find that using a small to medium tip brush pen (like these!) works best with this size, but you can definitely use a larger tip brush as well. 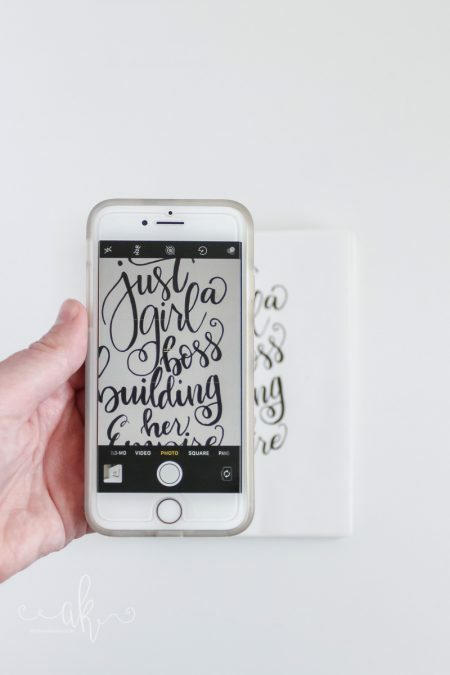 Use a sheet of smooth tracing paper over the printout to save on paper (and to save your brush pens tips!). 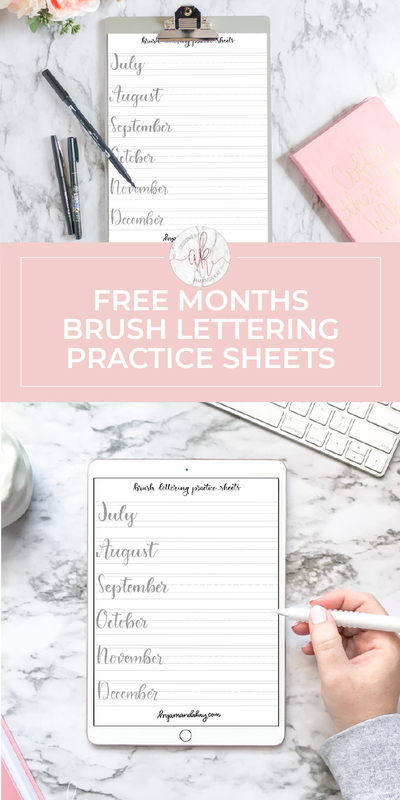 Want more free brush lettering practice sheets? 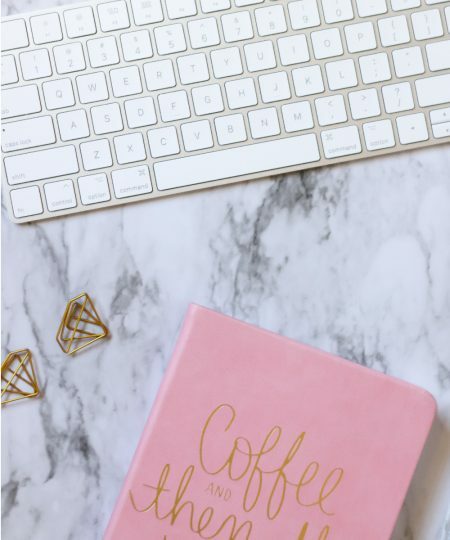 Such pretty lettering! 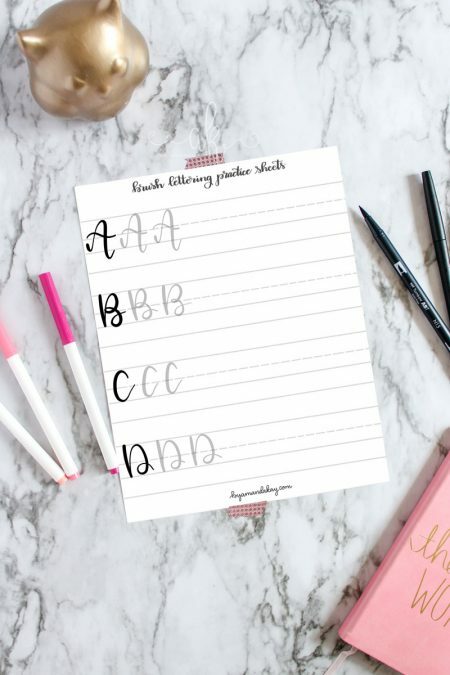 I remember when my Grandmother would sit down and help me practice my cursive lettering, that’s what came to mind when I saw this. Yes! I always aspired to be able to write like my mom, who has beautiful perfect cursive naturally. That is something that new generations will not experience!